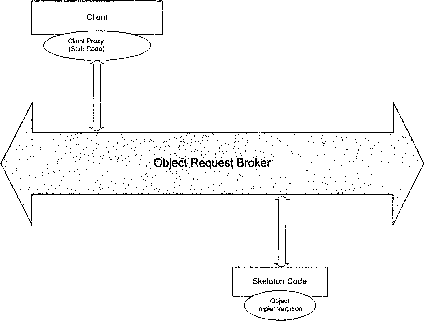 The Object Request Broker (ORB) is the heart of the system. The ORB acts as a central Object Bus over which each CORBA object interacts transparently with other CORBA objects located either locally or in other remote servers. The ORB is responsible for finding a CORBA object's implementation, preparing it to receive requests, communicating requests to it, and carrying the answer back to the client. The ORB establishes a communication bridge between the client and the server, as shown in Figure 11-2. The underlying ORB implementation is not relevant to distributed system developers. Once the communication bridge is established, the client can access data and behavior from the object residing in the server as it were a local object. Furthermore, the client's interface is completely independent from the implementation residing in the server. All that the client needs to know is the set of interfaces the object residing in the server offers. The interfaces to the ORB and to objects built using the ORB are well defined, providing a uniform framework across the entire distributed environment and making applications built using an ORB very portable across diverse platforms. Figure 11-2. Object request Broker links clients and server applications. An ORB delivers requests from client applications to server applications. This process occurs in three steps [Ros98], as shown in Figures 11-3, 11-4, and 11-5. 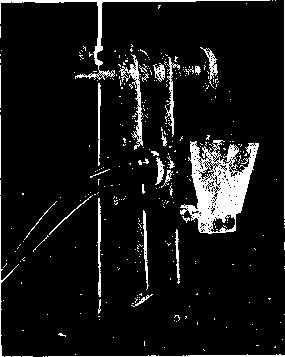 Figure 11-3. The client has a reference to the object server. Figure 11-3 shows that ORB manages the communication between the client and the server; ORB locates the server in the network. The client has access to a reference (or proxy) of the real object that resides in the server.